The Anatolian Shepherd dog makes a star pupil at the local training school, that is…in the right hands. Being a super intelligent and independent breed, they can quickly become bored and simply choose to do something much more fun – like lying down and refusing to budge. For this reason; they need a strong, yet gentle leader who has a good dose of doggy experience. So, if this is your first time owning a dog, this breed may not be the best choice. 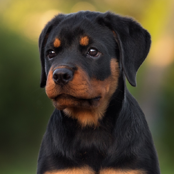 This breed thrives with the consistent owner who understands the importance of training and socialisation. Being historically bred to protect their ‘flock’ they need strong leadership and plenty of good socialisation as a pup to grow into a well-rounded dog. Puppy-preschools are a great way to start and offer your young pup exposure to different people and places. Enrolling in basic obedience is also recommended. 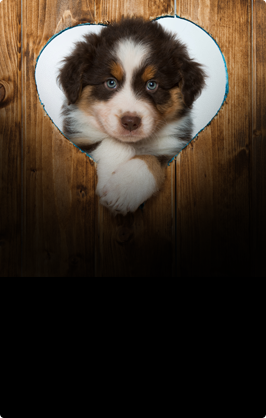 Like with all breeds, training needs to begin the second you bring your bundle of fluff home. Having a clear set of rules will keep everyone on track in terms of what you expect from your pup. The Anatolian Shepherd will grow into a very large dog, so the behaviour you allow and encourage now (like jumping), may not be so cute in a 45kg canine companion. Doggy manners are paramount for large dogs – no pushing past you through doors or on stairways, sitting before they eat and no jumping. On-leash training is also important as this dog will literally drag you down the street if not correctly trained. 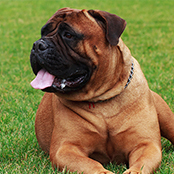 Being a ‘protective’ breed, training will also ensure you have a well-mannered and controllable dog. 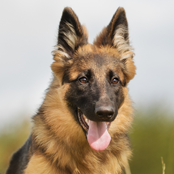 With a relatively short coat grooming is pretty easy with this breed. 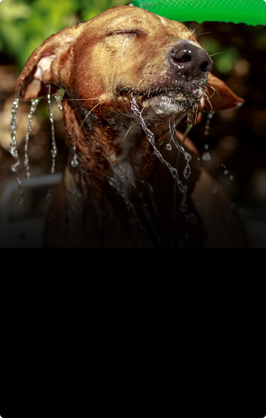 They are also naturally clean dogs, so you will not need to spend ample time washing and brushing. A good weekly brush will do, unless your dog is shedding when you should increase this to around 3-4 per week to help with hair removal. 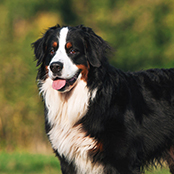 This breed does shed – a lot, particularly during seasonal changes. Getting your pup used to nail clipping at an early age is recommended as too, desensitising your pup to touch (think ears, mouth, feet). This will really help during vet-check-ups. This desensitisation will make possible stressful situations much easier to deal with, particularly with such a large dog. The Anatolian Shepherd Dog does require a good amount of exercise to keep them happy and healthy. Being a large dog care must be taken in puppyhood not to overexert fast growing and large joints. However, your grown young dog will require a good run and leash-walk daily. 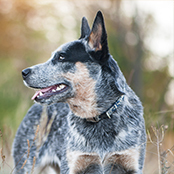 Early socialisation and training will determine if you can safely run your dog off-leash. A decent run a day is great to keep your dog healthy and happy. Alongside a brisk walk in the morning before you head off to work. Just remember to keep some tasty treat with you! If your Anatolian Shepherd gets bored at any stage they may just decide to park-up on the footpath and refuse to move! Being a very intelligent and independent breed, the Anatolian Shepherd can certainly think for themselves. This can invite some issues with training. Because of this trait it is important that your dog is correctly exercised, and their environment enriched with plenty of fun things to do when you are not around. Otherwise, your backyard may begin to resemble a golf course (with much larger holes)! Think boredom busting techniques and puzzles and rotate toys daily. With the correct training, socialisation and breeding the Anatolian Shepherd Dog makes a great family friend. Care does need to be taken with very small children as the breed is very large and can get into trouble for accidentally knocking over little ones. They can also be fiercely protective of the ones they love, so it’s important to be extra diligent around strangers or friends who pop over to play with their ‘flock’. Like with all breeds it’s important to teach your dog how to correctly interact with children and teach your children how to correctly play/interact with your dog. When socialised correctly from a young the Anatolian Shepherd Dog makes friends with all furry family members. 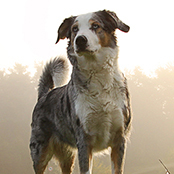 This breed does cope with the great outdoors, however like with all breeds – he will pine to be alongside his ‘flock’ and will thrive in the company of his humans. Like with all dogs – they do not take well to endless hours outside alone or chained to a kennel area. They are free-thinking dogs that will love a good space to run and play and decent fencing. Fences need to be high and secure, as your dog will be fiercely protective, particularly so when their leaders are not at home.